Vogue: Who Will Save the Elephants? “To allow the extinction of the world’s largest and smartest and most sensitive land animal—a keystone species, meaning that when it goes, an entire ecosystem goes with it—on our watch? What could that mean for who we are, and what we’re becoming?” writes Vogue’s Alessandra Codinha. Last month, Save the Elephants hosted Knot on My Planet ambassador Doutzen Kroes, Tiffany & Co., and a group of influencers and press from the US and UK on a special trip to Kenya. 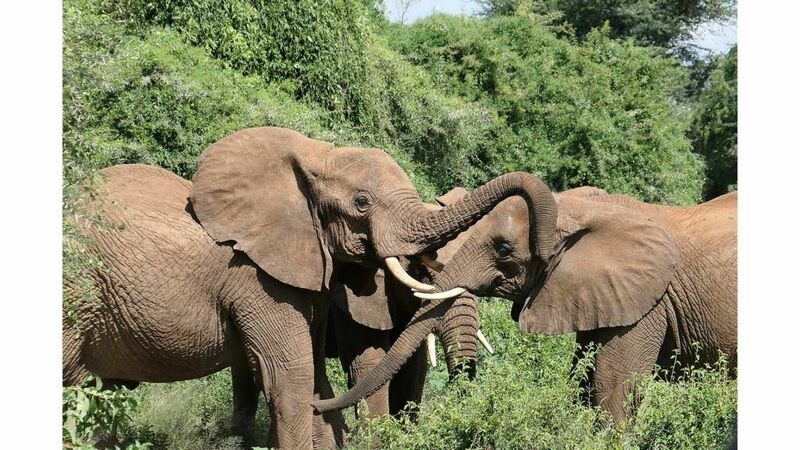 The group saw elephants in Samburu and met with Elephant Crisis Fund partners, Big Life Foundation and WildlifeDirect, learning firsthand about the challenges they faced while protecting elephants and ensuring justice for wildlife. Codinha takes a deep dive into the current state of this iconic species and the fight for their future. Read the full Vogue article, here.